EDUCATOR: Mr. Abhay Singh/ Educator was selected as the Educator this Week. 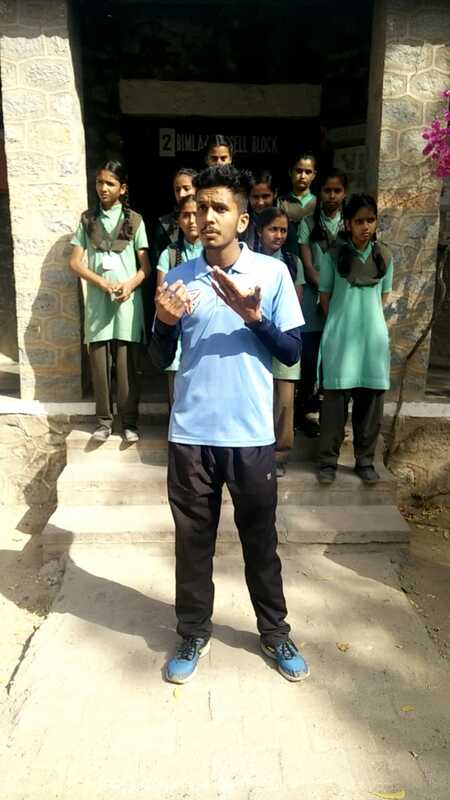 He shared his views on the Importance of Sports in daily life. He said that we should play sports to be healthy and fit. Sports relaxes our mind and removes tiredness. Sports make us physically and mentally healthy and fit. HC: Yes, I participated in many activities which mostly included sports activities like basketball, football, etc. 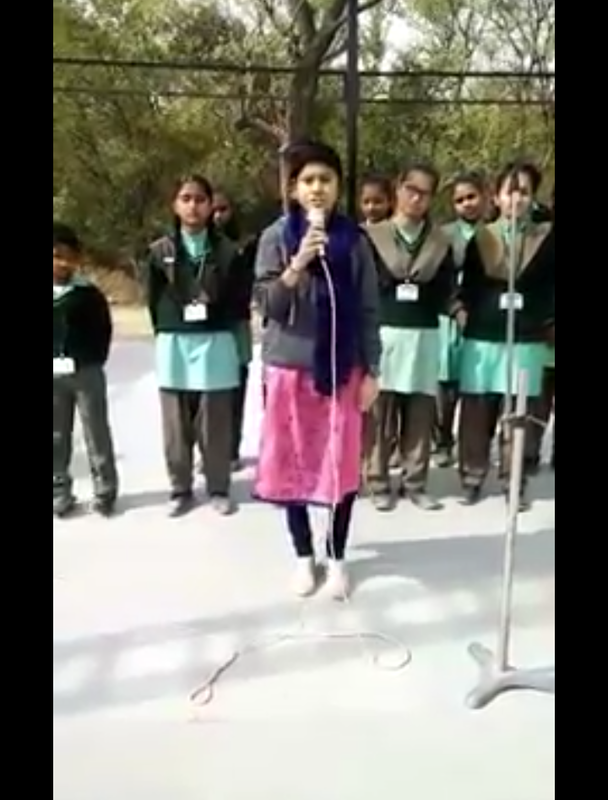 Other than that I used to participate in activities like extempore competitions, singing competitions, dance competitions., etc. HC: In the school my favorite spot was the area behind the classrooms and the basketball court. HC: These days I am pursuing my B.Sc. BioTech. 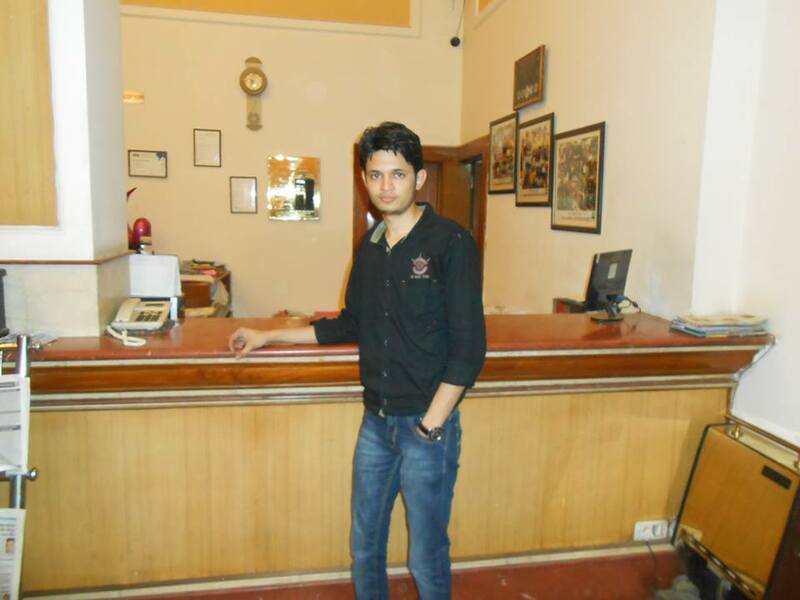 2nd year from Mohanlal Suhadia university, Udaipur. 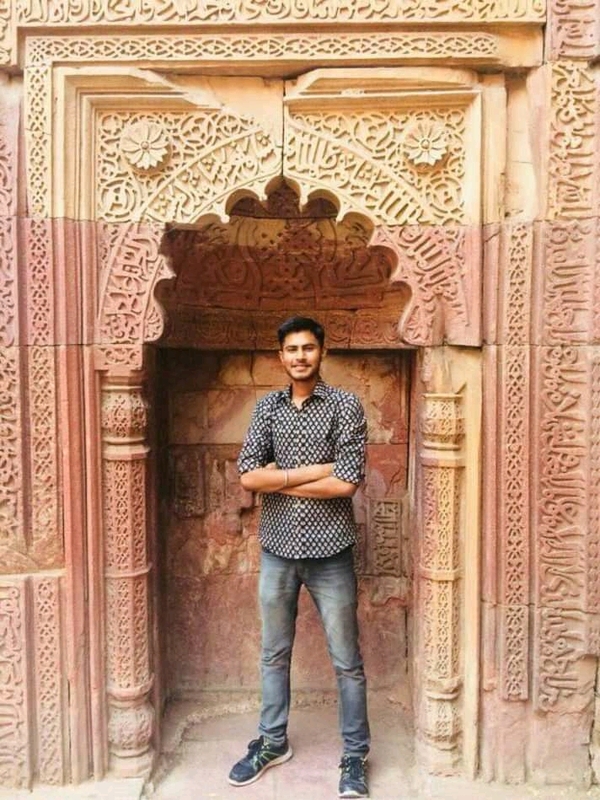 HC: I have learnt a lot from the Fabindia School, I think however I have developed as a student or a person it is just because of the Fabindia School. I thank all my teachers who encouraged me to take part in activities which developed my speaking skills as well as my presentation skills. HC: In my memories I remember each and every precious moment spent in the Fabindia School may it be with my friends, teachers, etc. HC: Enjoy every beat of the School life because it is most precious time of our lives. As you see the college life in the movies it is never like it so, enjoy the present moment don’t waste it for the future. 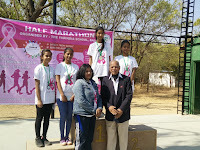 STAFF: LFIN PLP was held at The Iconic School, Bhopal on 19th & 20th Feb. LFIN Chairman Mr. R.P. Devgan and trainer Ms. Kusum Sharma, The Fabindia School, Bali visited Bhopal to deliver session on The Joy of Learning. The session started with an introductory note from Chairman Mr. R .P. 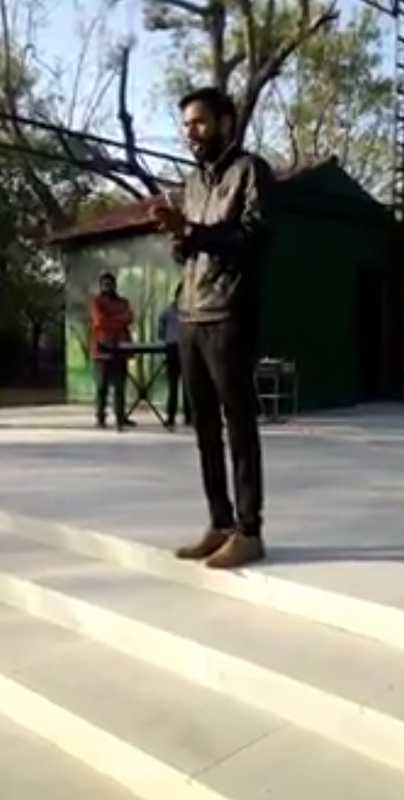 Devgan. 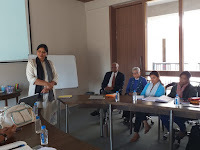 Ms. Kusum Sharma conducted session on the Core Values 'Hope & Friendship' and 'Peace & Freedom'. The session was conducted efficiently. Educators actively participated, interacted and gave their presentations. 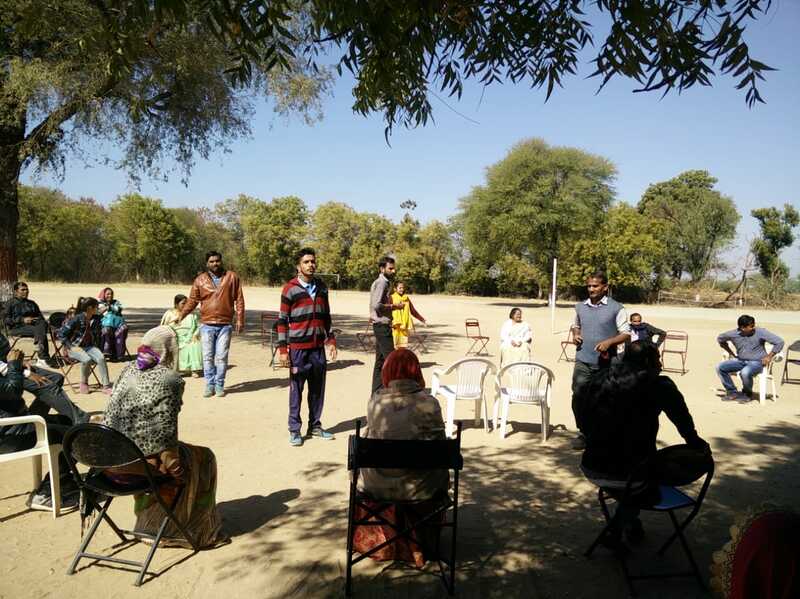 Saturday, 23rd February: PLP Session was conducted in the School in which the Educators had their session with their Action Teams. They worked on Fedena and completed their attendance, updating of students profile , marks entry etc. 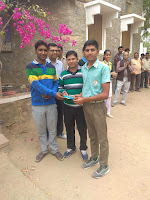 Wednesday, 20th February: Final Examination of Class IX and XI got over that day.After ten days the students were feeling relieved on that day as their Final Examination got over. 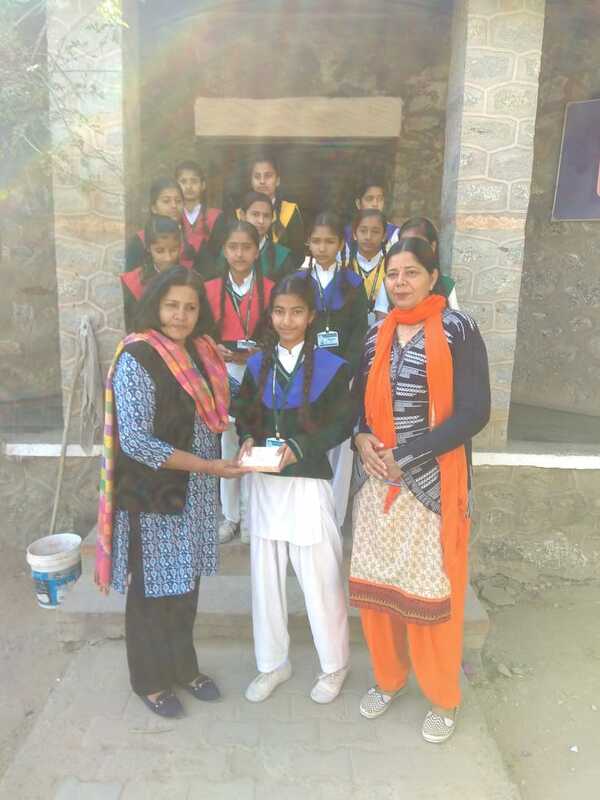 Principal Mrs. Rajeshree Shihag, Educators, Admin Staff & Support Staff wished Board Class XII Best of Luck by giving them a pen and best wishes as their blessings in the Assembly for their commencing Board Exams on 2nd March 2019. 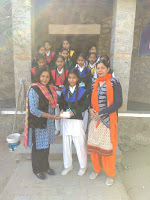 EDUCATOR: Ms. Swabhi Parmar was selected as the Educator this Week. 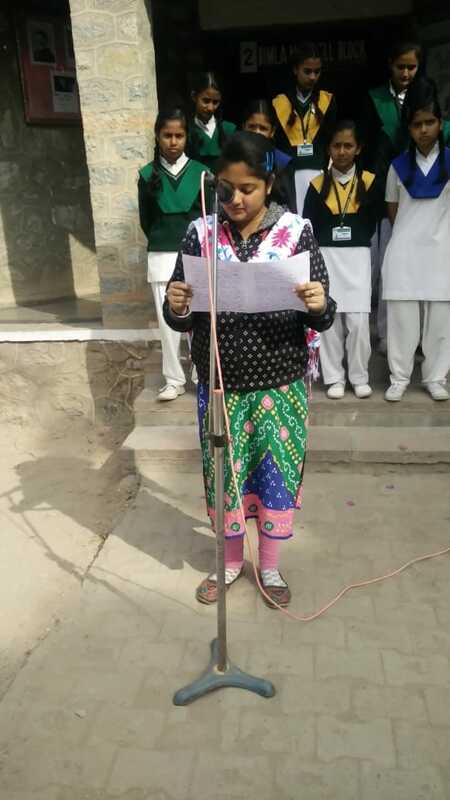 She shared her views on the importance of reading. She said that if you have a good book in your company nothing in the universe is better than that, so all must develop the habit of reading. YR: Yes I participated in all kinds of sports events may it be football, basketball or cricket and other than that I used to participate in Annual days as far I can remember. YR: In the school my favorite spot was the area near the sports ground. 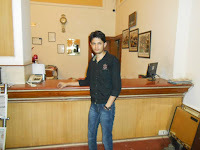 YR: These days I am preparing for R.S Examinations; at the same time my final year in college is also going on. YR: I am doing my graduation. 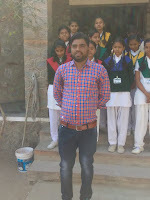 YR: I have learned a lot of things in my life from The Fabindia School but most importantly I have learnt ‘How to respect others’ and for me it is a great achievement . YR: In my memories I remember the fun time which I had spent in the school like sitting in the last bench, being punished for doing mischievous things and yes, most importantly I miss the time spent with my friends and teachers. YR: Face difficulties because they are the painful stones which will lead you to the path of success. 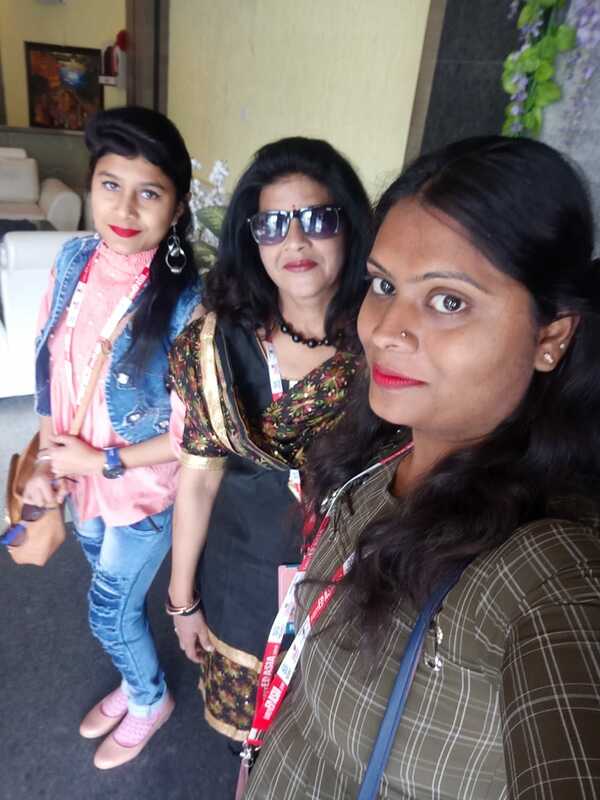 STAFF: Ms. Sharmila Vijayvargi, Ms. Krithika Rao and Ms. Manisha Devda went to Jaipur to attend Early Ed Asia Childhood Conference. Report of the Two day Conference at the City Palace, Jaipur on Early Ed Asia Childhood Conference on 12-13 February 2019. 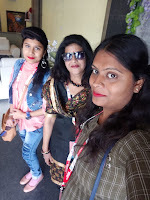 The Conference was attended by Ms. Sharmila Vijayvargi, Ms. Krithika Rao and Ms. Manisha Devda. The conference stressed on teaching strategies to be inculcated in Pre Primary Classes and changes to be adopted, Learning should not be a stress but it should be fun, use of technology should be increased and teachers should be trained for using modern trends in the education system. 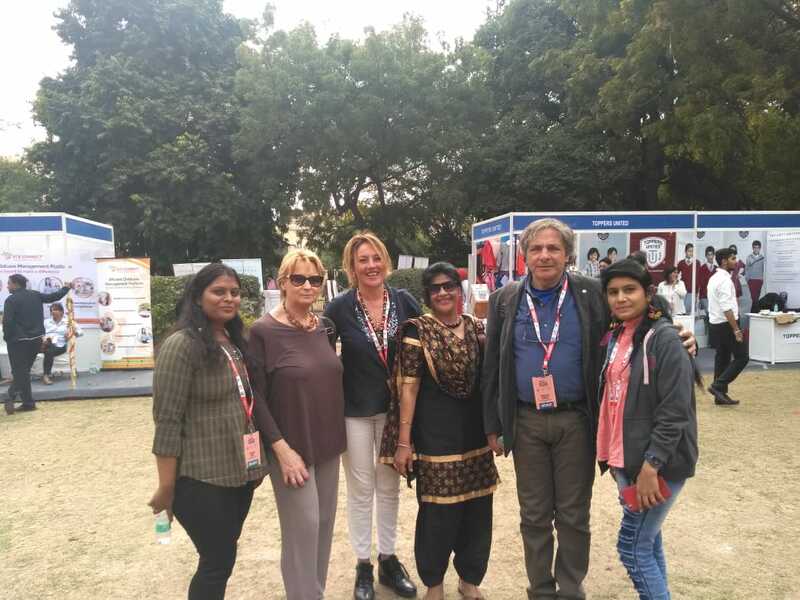 The conference proved to be highly beneficial to the educators and will undertake the reforms to be brought in teaching learning process in our Early Years School. · Schools should be equipped as per student’s requirements. · Playful environment should be provided to the pre school students. · Interact, innovate and involve the child in the class room. · Never make a child understand but try to understand them. · A teacher should be a learner – always ready to learn. · Curriculum should child eccentric. · Instilling enthusiasm in the child towards learning through `Learning with Play`. · Never point a Child's mistake instead try to resolve them. · Special attention to be given to each child. · Do not label a child as peoples mind set make them non-learners. · Do not celebrate Sports day annually instead make each day a play day. · Technology should be used as an instrument and not as a purpose. · Small Moral Value tasks to be given to the students. · Play school teachers should be trained by senior teachers. · Parent teacher relations are important for child's development. · Pre Primary teachers should be passionate about innovation, technology thereby igniting the young minds. are going on. Revision is going on in all the Classes. soldiers who lost their lives in Phulvama Attack. 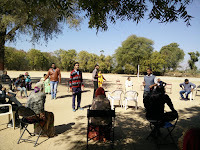 Rathore, Archana Koratkar, Meenakshi Choudhary, Vinita Sirvi, Charu Vaishnav, Varun Malviya & Ronak Devda. STUDENT: Priyanka Deora/VIII was selected as the Student this Week for showcasing responsible behaviour while conducting school co-curricular activities. She said it changes the character of the person who is responsible and that person is special for everyone. EDUCATOR: Ms. Manisha Deora was selected as the Educator this Week. She shared her views on the advantages of being responsible. She said that responsibility is the ability or opportunity of taking decisions without authorization. 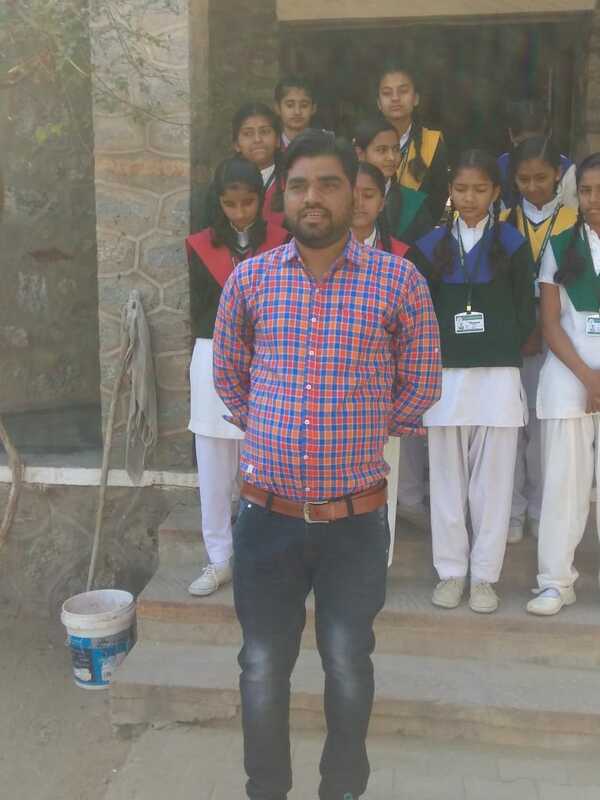 Mr. Yagyapal Singh was selected as the Educator this Week. He shared his views on integrity towards work. He said that if we want success in life we should focus on our goals and develop our knowledge skills. 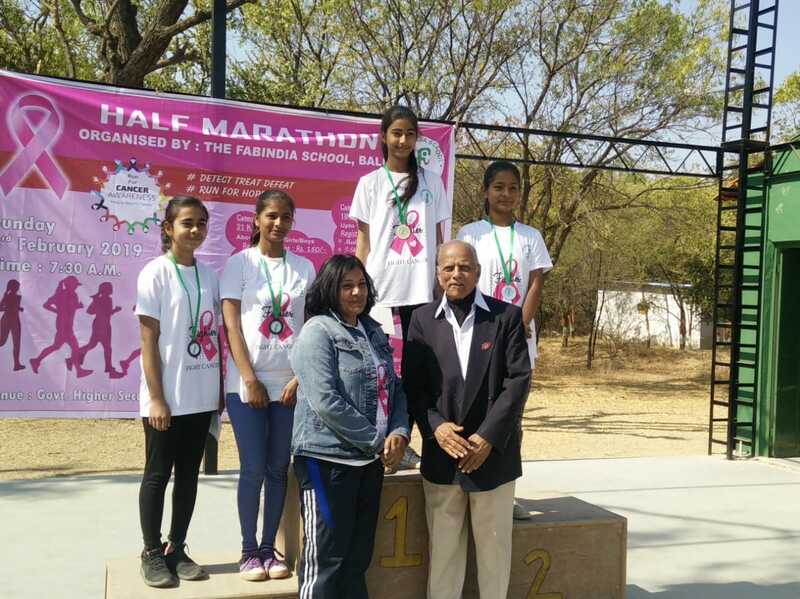 DV: Yes, I was an active participant of all kinds of sports other than that I used to participate in the activities like Debate competitions, Elocution competitions, Extempore, Annual days, etc. DV: In the School my favorite spot was that Compost pit which is constructed behind the last block . 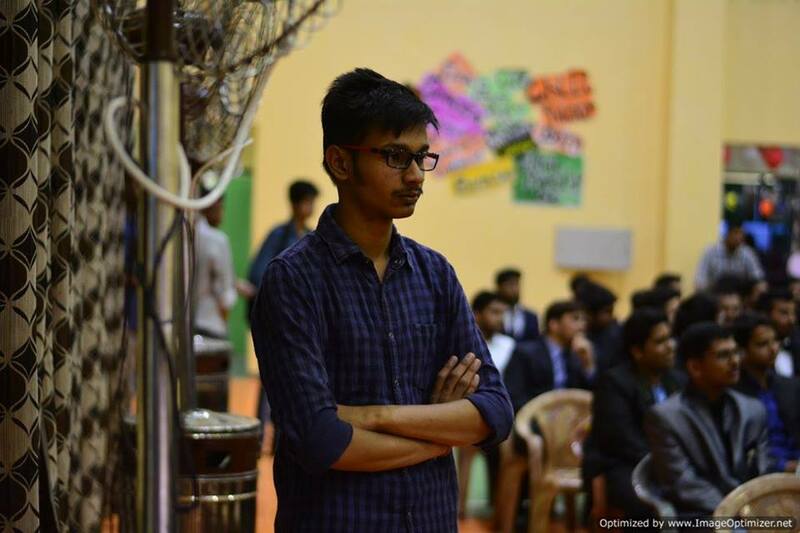 DV: These days I am working as a Software Developer in Hyderabad. DV: I have completed my B. 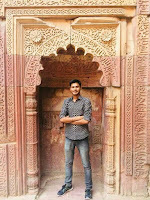 Tech and M. Tech from the IIT Gwalior. 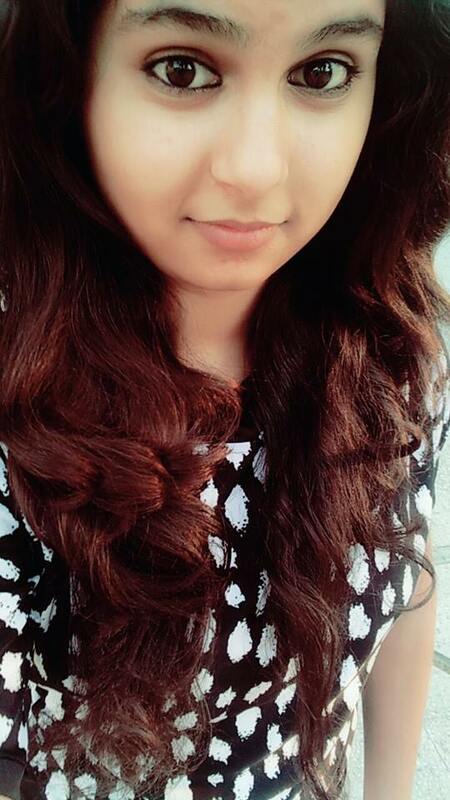 DV: From The Fabindia School I have learnt very important values like to be vocal about whatever you feel, to participate voluntarily, etc. DV: In my memories I remember the time spent with my friends in various ways like sharing food, playing games, etc. DV: Participate a lot, don’t be shy and at the last I would like to quote that “Don’t try to fit in the shoes of others, you have your shoes so wear them” this means that don’t try to be like others, everyone is unique so, find your talent and don’t copy others. STAFF: Ms. Rajeshree Shihag, Ms. Kusum Sharma, Mr. Ajay Vijayvargi, Mr. Krishan Gopal, Mr. Suresh Negi & Mr. Byju Joseph went to Ajmer to attend a CBSE Workshop at Ajmer. The faculty wished Ms. Swati Sood, Mr. Krishan Gopal & Ms. Ayasha Tak who had their birthdays that week. May they be blessed and good wishes for their future. Monday, 28th January: UT IV was conducted for Classes Nursery- VIII. 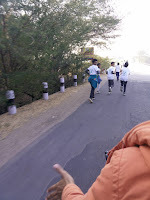 Practices started for the commencing Half Marathon (Run for Cancer Awareness) on 3rd February. 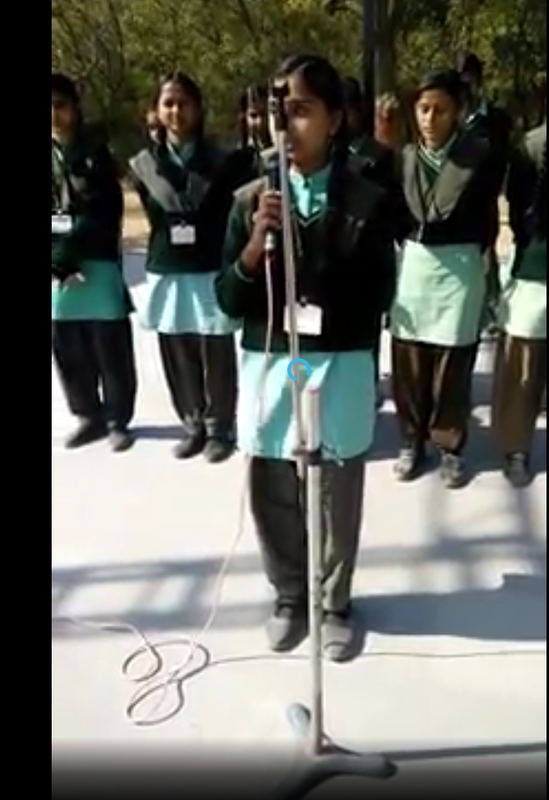 Wednesday January 30: Today on the occasion of the ''Martyr's Day'', a two-minute silence was kept by all students and teachers in the Assembly. Today too students were seen practicing for the Marathon on the tracks. Children were seen doing stretching after completing the rounds. Regular revisions were done in the classes. 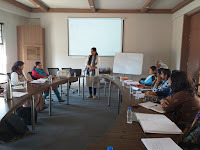 Thursday, 31st January: Class 10 had their Pre-board II. 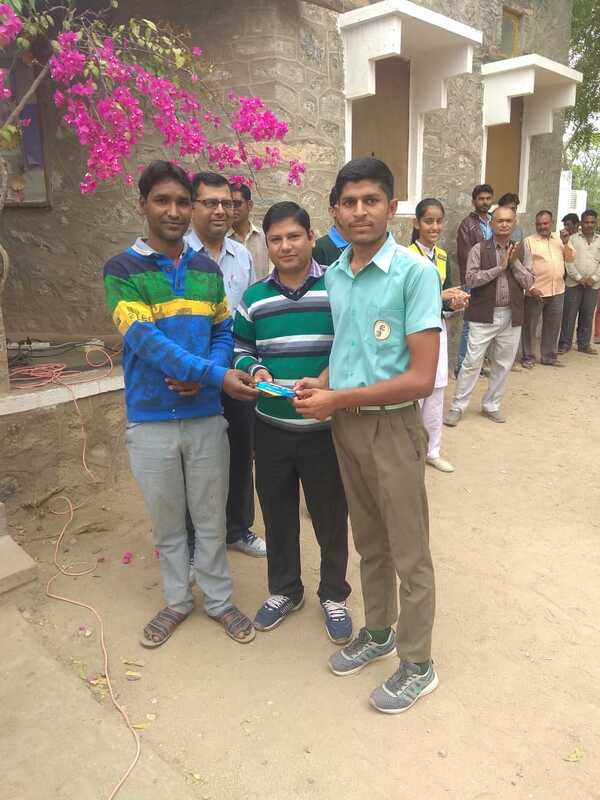 Jyotirmay Nag/II/RH was appreciated for distributing the Marathon Pamphlets at a good and right place which brought registrations from other schools. 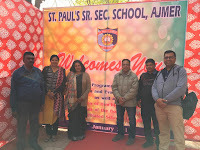 Saturday, 2nd February: The School organized ‘Coffee with Teachers’ (New concept of PTM) The parents visited the school and they talked with the teachers and students. The students shared their results with their parents and answered to their questions. They had a get together, played games etc. 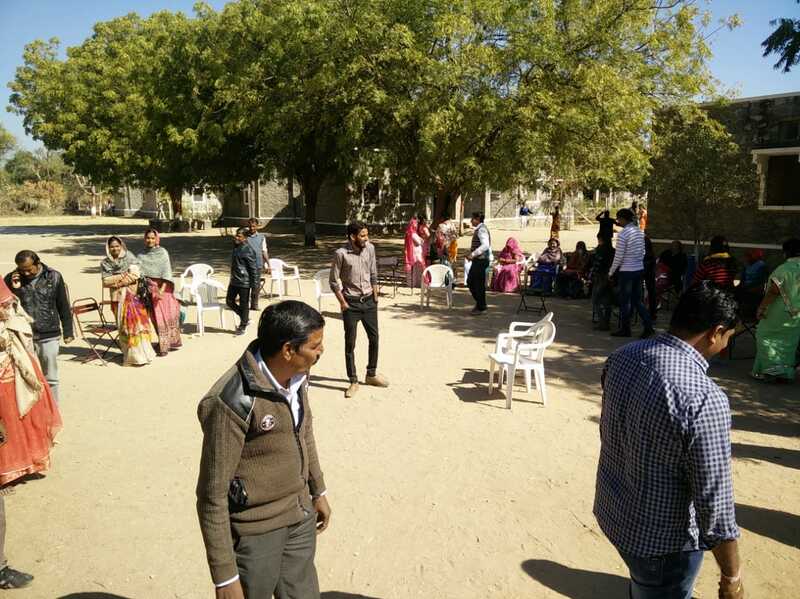 Parents were happy and contend on their visit to school. 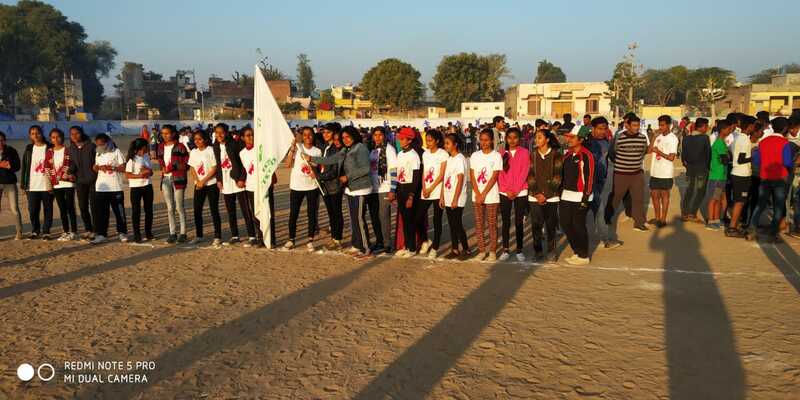 Three winners for Category II, III, IV & V were rewarded with medals. 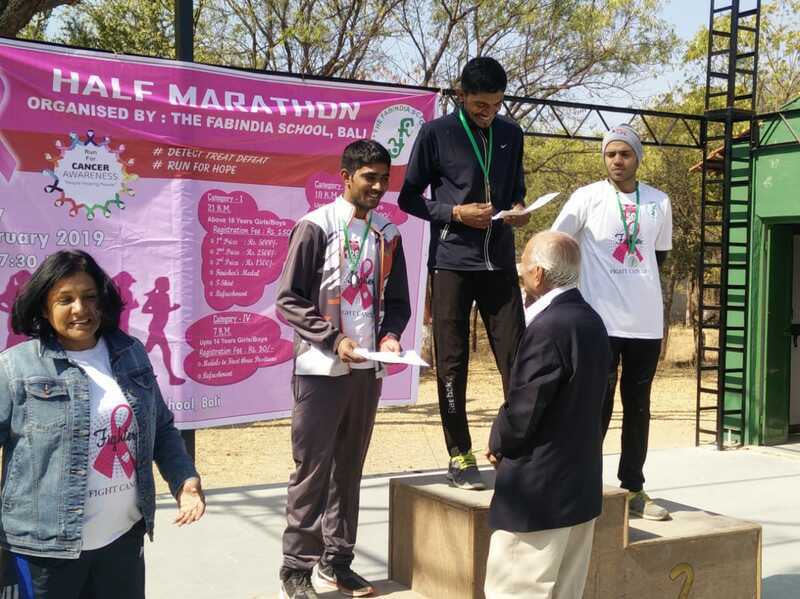 The participants of Category I who completed 21 km run were rewarded with gold medals. 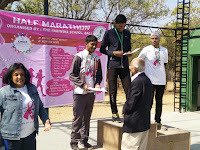 The winners of 21 km run were felicitated with cash prize; First Position: Cash prize of Rs. 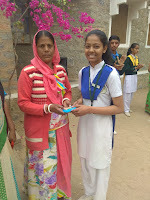 5000, Second Position: Rs.2500 & Third Position: Rs. 1500. Chief Guest Brig. 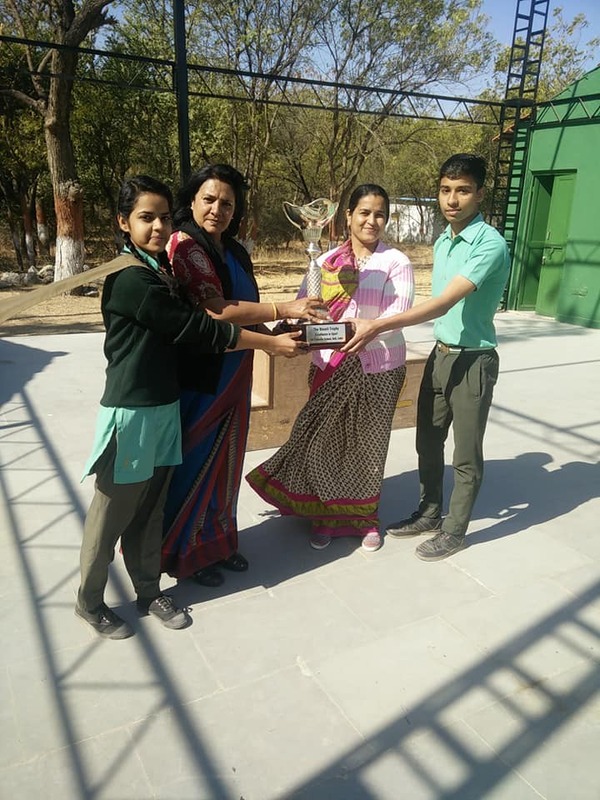 Karan Singh felicitated the winners with the prizes. The first contestant completed his 21 km run in 2 hour 10 min, second contestant in 2 hour 15 min and the third contestant in 2 hour 20 min. 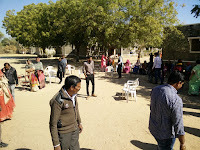 Everyone appreciated the school to take the initiative of organizing such an event.